I hope that you are all keeping well. I am sure that you, like the staff, are delighted with the amount of media attention the school has been getting recently. We were on Newstalk and Q102 last week and were on Raidió na Gaeltachta (Irish language station in RTE) yesterday speaking about our school. If you would like to hear that interview, please go to 35 minutes into this podcast. Please click here for the podcast. The response to what we are doing in this school has been phenomenal. George was hooked! Thank you all so much for contributing to our ethos of openness, inclusiveness and equality. Religious diversity is not the only diversity we recognise in the school. We also focus on cultural, ethnic and linguistic diversity to name just a few. A great way we have of teaching the children about the value of diversity is our ‘Human Rights Month’ which we hold every February. The children are taught explicitly about their rights. They begin to understand that not everybody is lucky enough to experience the rights they should. We do this by focussing on the ‘United Nations Convention on the Rights of the Child’. We make this as easy to understand as possible for the children. We also look at our own Irish legislation around equality and explicitly teach children about ‘The Nine Grounds of Discrimination’, again in an age appropriate way. Your support is extremely important in this work. We hope that parents will be able to engage their children in conversations about rights and equality. It is very important that even if your family values are not in line with certain parts of Irish legislation, that you support the school in educating your child in a way that will prepare them for their future in a diverse society. Teaching your child to respectfully express their opinions is very important here. Everyone is entitled to their own beliefs, but everyone is expected to express those beliefs in a way that will not hurt anybody else. 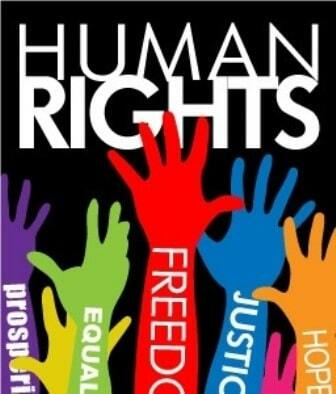 Below is a table with the general rights and grounds the children will be exploring during Human Rights Month. If you would like more information on any of the grounds mentioned, please have another look at our ‘Equality Policy’ on the website or in the office.